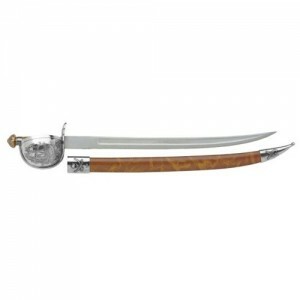 Pirate Cutlass and Scabbard available with brass or silver finish. 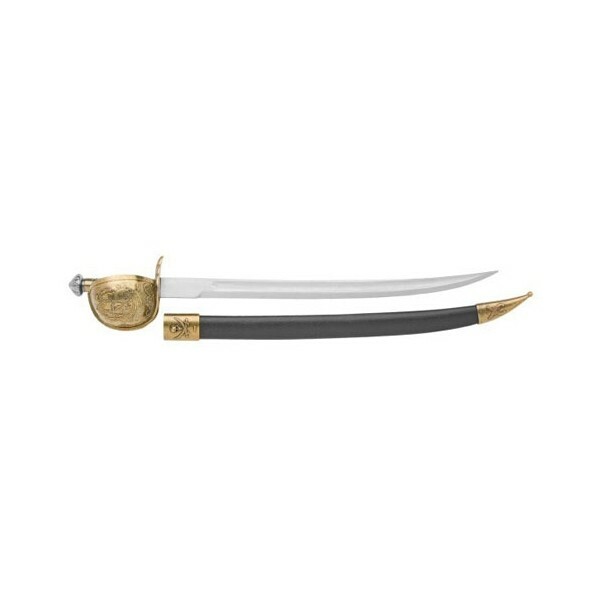 This classic brass or silver finish decorator model features a galleon engraved on the simulated silver, full bowl hand guard. 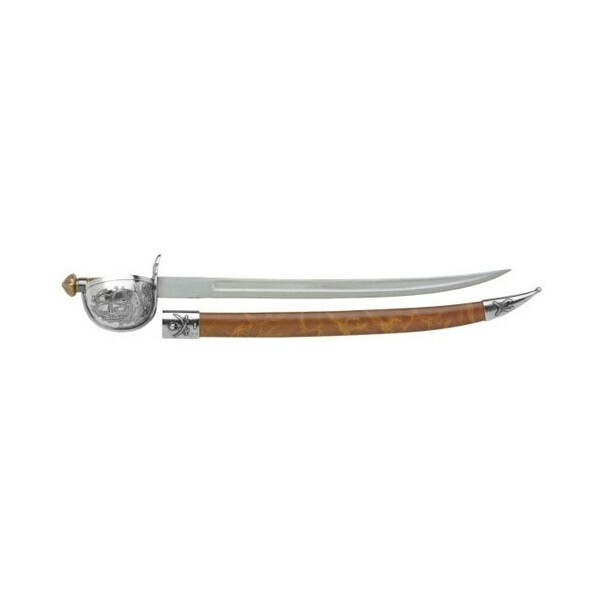 The scabbard is embossed with skull with crossed sabers & crossed flintlocks pistols and neatly fits around the 22.5" curved blade with blood groove.